E Pioneer Cranes & Elevators (P) Ltd. are one of the leading manufacturers of Glass Fascia Cleaning Systems are used for cleaning the fascia of high rise Multiplex Hotels and other buildings. We have been able to offer an extensive range of Precision Engineered Products and Equipments. Owing to our in-depth knowledge of this design, we are specialized in providing Advanced Flat Cleaning System. Our organization is dealing in offering Sonic Soot Cleaning to our clients. The experts use latest quality material for cleaning purposes. This Sonic Soot Cleaning service is preferred by our clients since it is completed within allotted time frame. The cleaning tools are of high quality and give accurate performance for years. Dropsa Oil Spray System has been designed to provide an efficient and effective cleaning and coating of rolled steel products before coiling. The clean and lubricated Steel coil can then be stored and transported with a protective rust inhibiting layer of light or heavy oil that is sprayed just before the coiling operation. We offer Floor Cleaning System which consumes less energy and suitable to use in the most cluttered sections of the factory floors and allows good ground clearance. 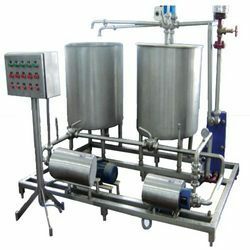 These cleaning systems are widely used in metal, chemical, fertilizer and other similar industries. VERYCLEAN GIVES TOTAL SETUP FOR EACHING, PRECONDITION, ULTRASONIC CLEANING , DRYING, SLOW LIFTING COATING TANKS WITH FILERATION , SMALL D.M WATER, CHILLER , AND HAPA AIR FILTER BENCH. ALL THE CONTROLS ARE DIGITAL. USED BY INDIAN TOP OPTHALMIC LABORATORY. F Harley & Co. Pvt. Ltd.
Rotary brush system for multi-screen separators consists of a brush system and mobile chassis. The CIP Systems that we provide are used effectively for cleaning of process equipment like RO/EDI with minimal dismantling. We offer these systems in standard and customized options, according to the requirements and specifications of the clients. Our CIP Systems have programmed and pre-wired control systems, skid mounted system and two, and three and four tank system option. 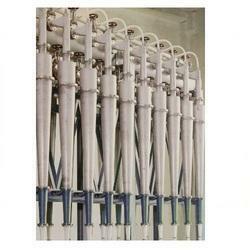 In Pharmaceuticals cleaning of equipments and process piping is very critical. Any residue of previous production batch shall wash away completely to avoid cross contamination. Thus cleaning is time consuming and more critical.